Salomon Kalou has jetted back to London to open talks over a move to Arsenal. The Chelsea striker was in Dubai with the Ivory Coast as they prepare for the Africa Cup of Nations later this month. But he has now flown back to England as the Gunners attempt to lure him across the capital. 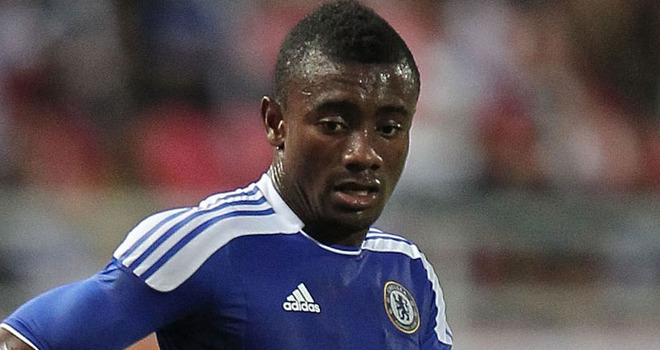 Arsene Wenger is a big fan of Kalou and is confident he can tempt him into the switch. The player would cost £3m in the transfer window with his contract expiring at the end of the campaign. Talks over a new deal at Stamford Bridge have stalled over his £90,000-a-week wage demands. Arsenal are trying to take advantage by making an official approach for Kalou. He would become their second major signing of the window after Thierry Henry's return on loan from New York Red Bulls.